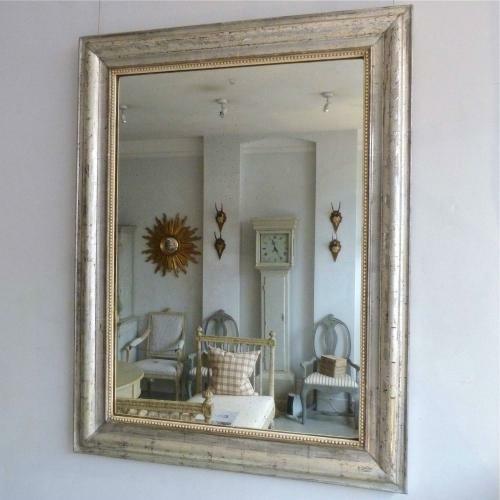 A superb 19th century silver gilt Louis Philippe mirror with beautiful, slightly patinated original glass, and flower & leaf etched frame with decorative cream gesso beading to the inside edge. Original pine back boards. French circa 1880.